There will be times when we want to add a Scroll Menu to our game, for instance, we use it for a Level Selection Menu. 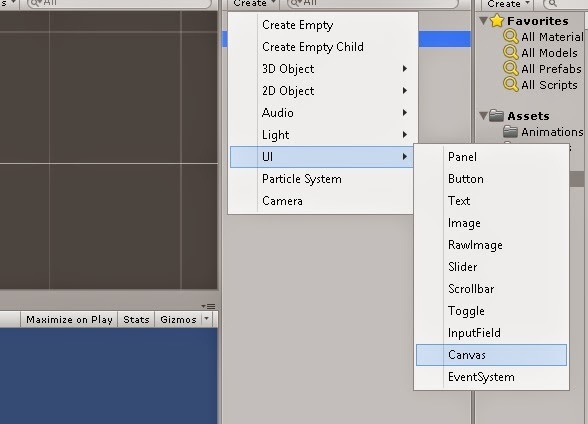 We will be learning how to achieve this with the all new Unity 4.6 uGUI. Need an inspiration to follow this post? If you're inspired and want to learn, then, let's start the learning. 1. To begin, we need to create a Unity Project, if one is not existing already. 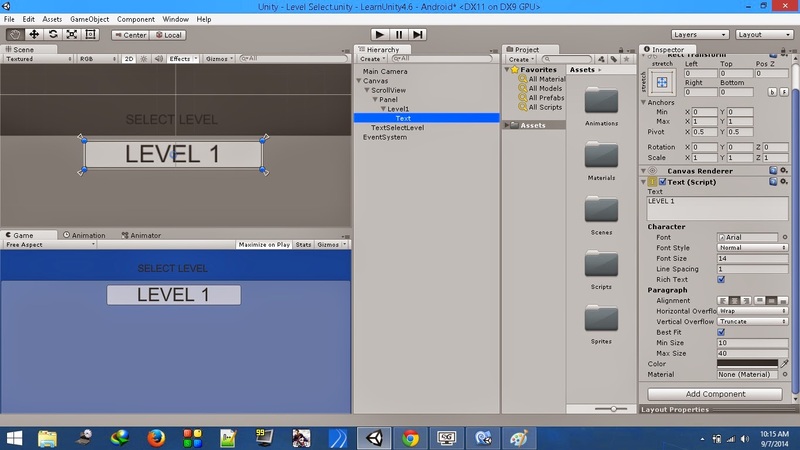 Create a New Scene named Level Select. 2. Create a Canvas by navigating to Create->UI->Canvas in the Hierarchy. 3. Create an Empty GameObject and rename it as ScrollView. Make it the child object of the Canvas. 4. With the ScrollView selected in the Hierarchy, move to the Inspector panel and click on Add Component->UI->Scroll Rect to add a Scroll Rect script to the ScrollView object. Once you do it, modify the configurations as in the image below. - We have unchecked the Horizontal checkbox, as we do not want the horizontal movement. 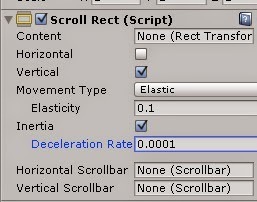 - The Deceleration Rate is set to a very low value of 0.0001 for the rate at which the ScrollView decelerates. Lower the value, lesser the movement on release of the cursor / touch. 5. Add a Text component within the Canvas we created earlier and name it TextSelectlevel. 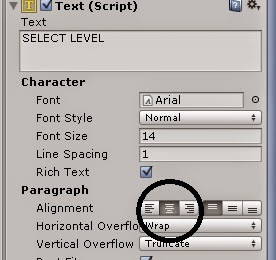 - Change the Text to be displayed in the Text (Script) as SELECT LEVEL. - Check the Best Fit checkbox. Set the Min Size to 10 and Max Size to 50 (or any value you like, for that matter). - Place the Text somewhere near the top to make it look like a Menu Heading. Position the four anchor points at the edges of the Text. 7. Right Click on the ScrollView in the Hierarchy and create a Panel. Resize the panel as shown in the gif below to add our Level buttons. 8. Create a Button inside the Panel. Rename it as Level1 and set it's Text component to LEVEL 1. Position it near the top end of the Panel. Resize it as per your needs and place the anchor points to it's edges to resize the button dynamically. Check the Best Fit checkbox of the Text component to resize the Text. 9. Duplicate the Button by pressing ctrl+D while the Level1 button is selected. Rename and reposition the button according to your needs. Also, reposition the anchors of each button to their edges. The below image shows a sample arrangement of the buttons. 10. Drag and drop the Panel into the Content field of the Scroll Rect script component of the ScrollView object. Once you do that you can scroll the menu to see the level buttons which was not possible earlier. 12. You can add an Image to be displayed behind the Select Level Text so that it looks aesthetic. You can try various color combinations and design your menu as you like. I have never been a good designer, but I have managed to design one for this, might not be as good as you people might do though. 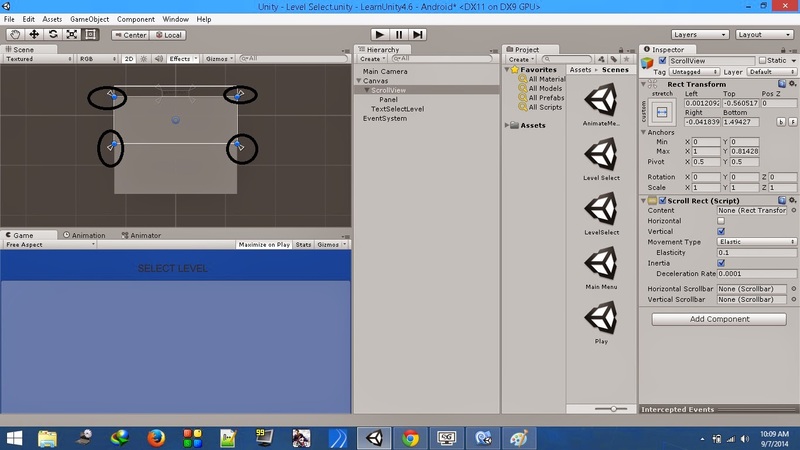 The reason behind doing this was to demonstrate how powerful the new Unity UI system is. 13. If you add a background image for the Select Level Text, remember to place it above the Text in the inspector, as the one with lower position is placed over the above objects in the Hierarchy. Excellent tutorial! Thanks a lot! ¿ pero donde esta scroll rect para descargar y text script ? On the computer everything perfect but when I export to android, the scroll does not work. Yes, I have the EventSystem in my Hierarchy and it has a component touch input module (script), also has a component transform Event system and Standalone input module. Thanks for the tutorial! I was very helpful. I used your tutorial to create a horizontal scroll-based level menu. However, I can't figure out how to make it stop and center the closest item in the ScrollView. Do you know how to make it stop on item center? I am also looking for the same feature to implement in my game. Please help. 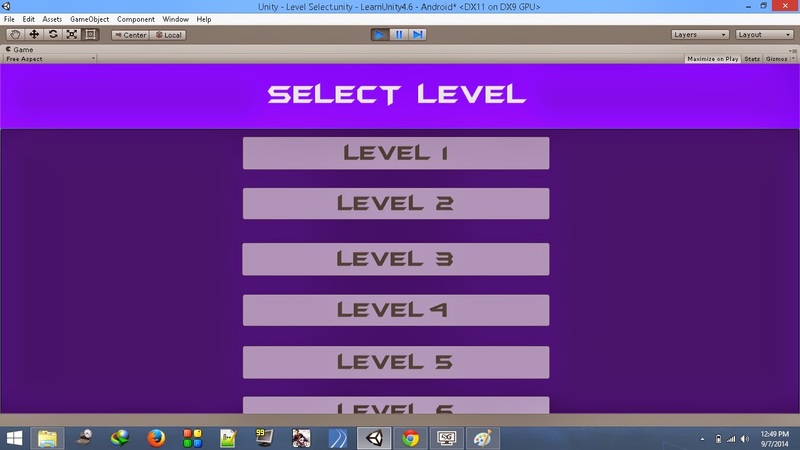 I believe what they mean is the list of levels would 'jolt' to each level as you scroll up and down, however this tutorial was to demonstrate how to access numerous buttons with your mouse that are outside the screen rather than a level select as such. For the requested selection snapping (or lerping) method I would not suggest scrollrect personally but rather a series of buttons that move up or down with the arrow keys (or preferred axis method). When the y axis of a button is off the screen have its y axis jump to the opposite end so that it loops back round to below (or above if scrolling down) your last item in the list, this is if you wish for an infinite loop of the menu items or have the list simply not allow to move once it has reached the end item of a list. There are numerous methods to achieve a scrolling menu but this tutorial is intended for demonstrating scroll rect to access items you can then use your mouse to click on (or fingertip for android) and indeed achieves this effectively. i have try this tutorial. and i create like this.. http://s24.postimg.org/eikvlyjud/slider.gif but actually, i want to make menu like this.. http://postimg.org/image/kt9xxf7sr/ where the menu is like have magnet if menu on center position like the picture number two. 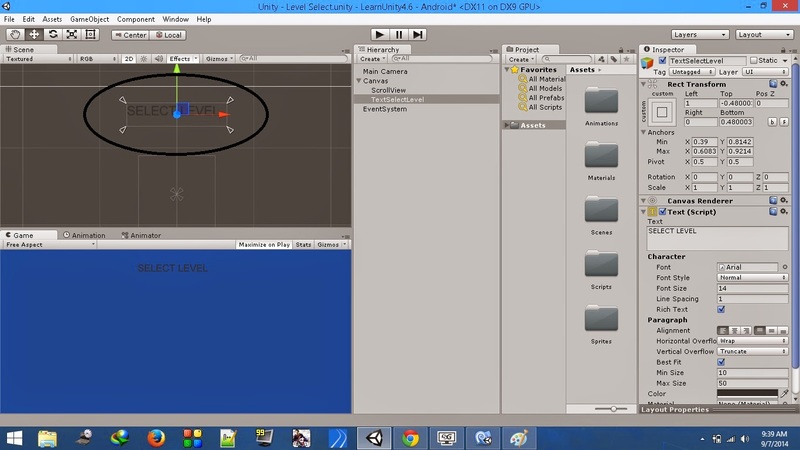 i want to make thats using scroll rect, but how can i make like that using unity 4.6 ? thankyou. Okay... You ask and we deliver. We are short in time and hence we cannot post a tutorial on it. However, you can download the unity package for the same. I won't be able to guide you any further than giving the working package. The code is not commented, but should be very academic. I was wondering what would be needed to change if I wanted to make scroll view start after the select level text, so it would not scroll under it ,I know it can be made to look like it by setting a image behind the text but I was wondering just for learning's sake how to do it, because I tried a few possibilities that I could think of and couldn't make it work like that. I hope my question makes sense, if not I can try to clarify it more. Great tutorials is it possible to have the continue button take me straight into the last unlocked level rather than go via the level select? Hi, if level is unlock, how to make level is locked again ?